I suppose Perry thought he could help advance the cause of the American Enterprise Institute (AEI) with his short collection of quotes. If, in relation to Perry's post, AEI seeks to promote the non-existing “democratic capitalism” and not much else, the author didn’t do too badly of a job - and should be, perhaps, congratulated. 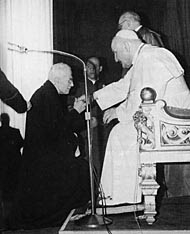 However, if the purpose of the article truly extended towards providing “some historical perspective” on “what four previous popes had to say about socialism”, with the gracious benefit - though, unmentioned - of sharing catholic thought and respecting the intellect of one’s readership, then perhaps we should withhold our congratulations. One may find that, in producing the collection of quotes, Perry could advance the position of “democratic capitalism” by negating socialism. 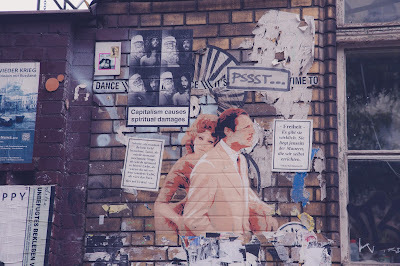 With the above considerations in mind, we can readily submit that the American Enterprise Institute is not to be recommended as a teaching source if one’s desire is to learn Catholic thought on capitalism and socialism - unless one desires to learn the ways and extent in which pro-capitalist venues would distort and defile Christian ethics. (3) With reason #1 in mind, we recall the nasty attempt to provide an inauthentic presentation of papal thought with the end of advancing capitalism, by failing in the acknowledgement of distinctions made by the papal Magisterium concerning socialism and refusing to provide any alternative that is not capitalism or any teaching related to capitalism - understandably negative - from the popes; this is consistent in pro-capitalist efforts, as anyone considering particular merits of a certain socialism would be identified as communists in being: anti-freedom, anti-property, anti-creativity, anti-life, anti-family, anti-enterprise - as if all socialism maintained these positions, and as if capitalism actually cared to materialize freedom, property creativity, life, family, and enterprise for all. This was from a comment on Pope Pius XI's Divini redemptoris , on atheistic communism. That said, let us also remember that the Popes spoke before they were elected bishop of Rome. Would it be useful for “historical perspective” to have an insight into what the Popes said before election? Certainly, then, my friends, we are able to learn a bit about what some Popes had to say about capitalism and democratic socialism before becoming Bishop of Rome. Let’s give the capitalists a pass on this one, though, as these quotes are from the time belonging to their pre-Papal ministry. What do we have, then, on capitalism and socialism? Well, we can consider the fact that the un-helpful article produced through the American Enterprise Institute fails to do something that one of the popes it cites did - 44 years ago: namely, distinguish between socialisms. Ratzinger did this in the quote above. Why don’t pro-capitalists do this for the benefit of their readers? It would be unhelpful for them to do so if only for the reason that they would have to then refrain from taking “socialism” -without qualification - as meaning some sort of system that can be identified with the USSR, etc. Maybe pro-capitalists think all socialisms are bad - but it’s hard to know if we never learn of any distinction. So, let us correct our kind author at AEI by providing some “historical perspective” and context in a few words. If we look at the AEI quote from Benedict XVI, we'll notice that it is from Deus caritas est (God Is Love). In the section where the quote is located, Benedict emphasizes the need and irreplaceable character of love -caritas- as service, etc. 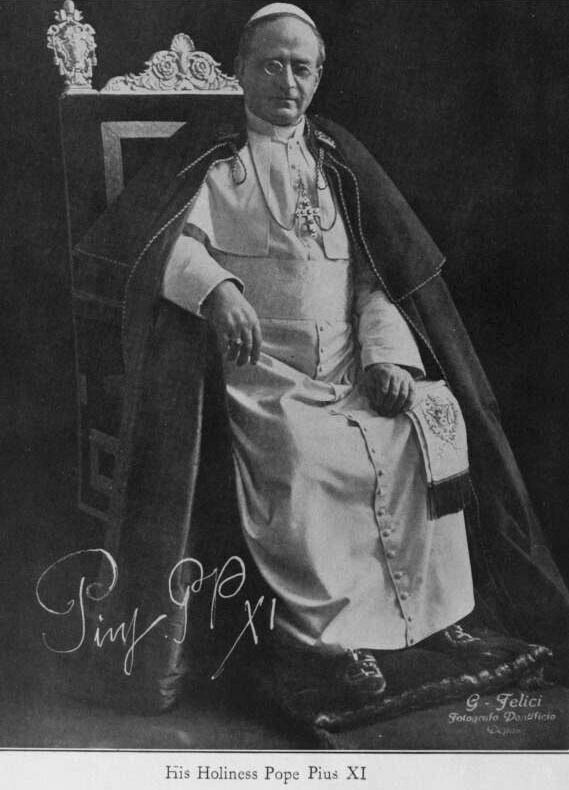 Given that Benedict, before he was elected Bishop of Rome, was able to make distinctions between socialisms, perhaps he did so as Pope. Let’s consider, first, that Benedict doesn’t use the word “socialism” in the cited encyclical. 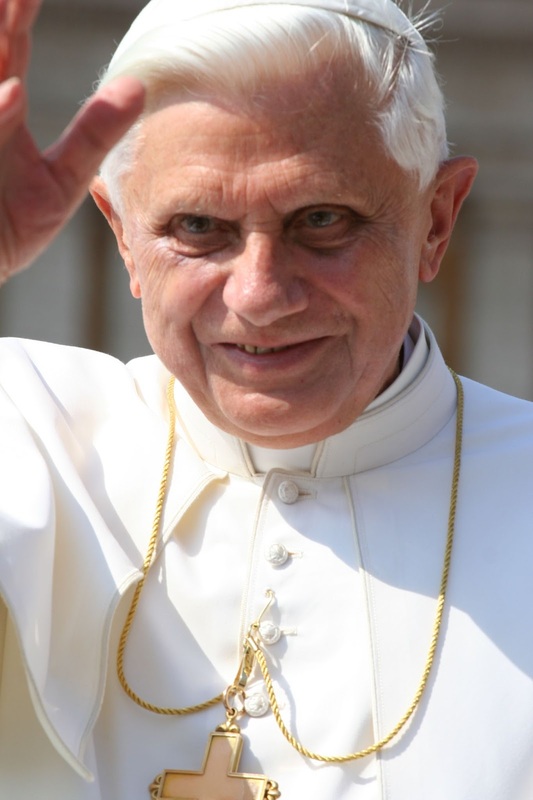 However, if you do a general search of what Benedict - as Pope Benedict XVI – wrote or said, using what is available on vatican.va , you’ll notice his harshness when treating some realities that contain, in name, the word “socialism”. Are there forms of socialism that are not atheistic and totalitarian? It would seem so, according to the Catechism of the Catholic Church. That’s a major loss for pro-capitalists, because now they have to make the distinction, which makes the actualization of their cause ever more difficult. Yikes. Not only does the Catechism of the Catholic Church distinguish between forms of socialism, some of which are completely unacceptable, it strikes down capitalism in its essence. Taking John Paul II as anti-socialist is not a conclusion one should accept without qualification. John Paul II rejected, like his predecessors and successors, communism, or forms of socialism that are atheistic or totalitarian. John Paul II doesn't reject socialism outright. In fact, it can be argued that he rejects only some socialism in principle. 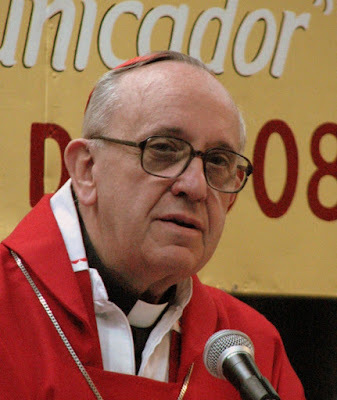 Centesimus annus builds on and presupposes, instead of correcting, John Paul II's previous encyclicals (paragraph 10). It would also benefit us to note that Centesimus annus affirms that a market economy, innovation, entrepreneurship, etc., aren’t exclusive to capitalism. In fact, the capitalism we reject is rejected by the pope in the encyclical. When people mean to express a market system with appropriate private property, entrepreneurship, etc., but use the word “capitalism”, John Paul II explains that the appropriate term would be market economy, or free economy, or business economy. A system, like capitalism, which rejects the priority of labor over capital, among other things, is rightly rejected (see, for example, paragraph 42). Laborem exercens is especially troublesome for the pro-capitalist cause - indeed, some could say that the capitalist cause should have ended with Laborem exercens (at least to the degree pro-capitalists wanted it to be pro-Christian ethic). “Surely a central place in the history of the social teaching of the church must be assigned to Laborem Exercens. This encyclical moves to a head-on criticism of capitalism-capitalism in its very essence- and approves of socialism in principle. “‘This principle directly concerns the process of production: In this process labor is always a primary efficient cause, while capital, the whole collection of means of production, remains a mere instrument or instrumental cause’ [ibid.]. “‘Further consideration of this question should confirm our conviction of the priority of human labor over what in the course of time we have grown accustomed to calling capital’ [ibid.]. “‘We must emphasize and give prominence to human primacy in the production process, the primacy of humankind over things. Everything contained in the concept of capital in the strict sense is only a collection of things’ [ibid., 13]. “‘This consistent image, in which the principle of the primacy of person over things is strictly preserved, was broken up in human thought. The break occurred in such a way that labor was separated from capital and set in opposition to it, and capital was set in opposition to labor, as though they were two impersonal forces, two production factors juxtaposed in the same “economistic” perspective’ [Laborem Exercens, 13]. “‘We can speak of socializing only when the subject character of society is ensured, that is to say, when on the basis of their work all persons are fully entitled to consider themselves part- owners of the great workbench at which they are working with everyone else’ [Laborem Exercens, 14]. The quotes within the above quote come from John Paul II's encyclical, as cited by paragraph numbers. There is more to Dussel’s study and I heartily recommend you access his work for more. 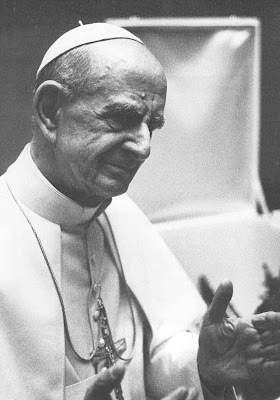 That being said, let us consider Paul VI. “has the right to bodily integrity and to the means necessary for the proper development of life, particularly food, clothing, shelter, medical care, rest, and, finally, the necessary social services. In consequence, he has the right to be looked after in the event of ill health; disability stemming from his work; widowhood; old age; enforced unemployment; or whenever through no fault of his own he is deprived of the means of livelihood” (11). Who has it as a primary responsibility to make sure these rights are promoted? For John XXIII, it's the state (starts at paragraph 60). Doesn’t Pope John know that the market will take care of everything? What is he, a socialist? 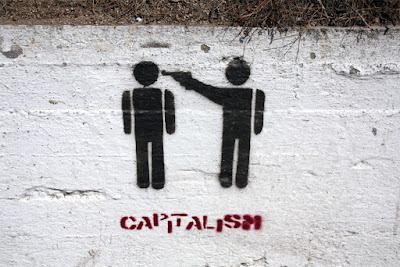 Let us remember that the American Enterprise Institute and, perhaps, other manifestations of capitalist apologetics - whether led by priests or otherwise - aren't always a safe place to learn Catholic teaching on capitalism and socialism. Perhaps, it may be said, one could go there to un-learn Catholic teaching. I know it's a challenge to go through a lot of material in the Church's teaching, but remember that such pursuits are worthy and fruitful. Know that capitalists would discourage these pursuits. I am reminded especially of Hayek and Mises, not only because such pursuits are inefficient or non-lucrative in their view, but will teach you about the Christian virtues that contradict the capitalist way of life. Instead they may resort to posting short, unhelpful, non-perspective-giving quotes to keep you in their trap. Or, instead, they may just produce their own summaries of encyclicals, or go so far as highlighting for you what is authentic teaching in an encyclical and what is not. A pro-capitalist effort such as this relies on your vulnerability and abuses your trust, while insisting that it is simply making life easier for you - which capitalism could never do. Do remember, this isn't meant to provide a complete treatment on Catholic thought, socialism, and capitalism – it’s just a subtle and modest correction of the AEI article linked above. Also, remember to look at Laborem exercens to learn about unemployment—an evil—and how the Church tasks the state with planning (not in a centralized fashion) to avoid or diminish its effects. 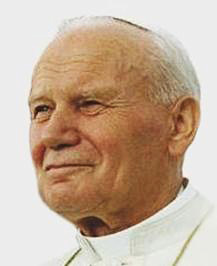 John Paul II, in the same encyclical, ties the right to employment to the universal destination of goods, and expresses that it is a 'right to life' situation. Maybe AEI will quote that section in a future article.